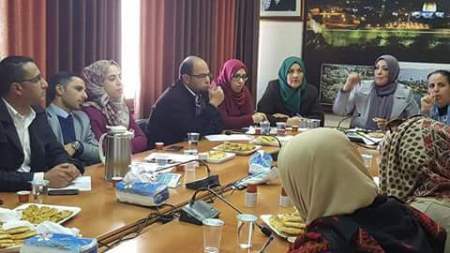 Muna Abu Sharar from the town of Dura in the Hebron district is a political and community activist who has taken part in MIFTAH’s Elections Support Program. , Abu Sharar always made sure to always attend, participate and interact within the elections support program. In this regard, Abu Sharar says. In regards to how MIFTAH’s interventions impacted her performance, Abu Sharar maintains: “I began to work methodically instead of randomly like before. I had knowledge and awareness of laws, communication skills, means of impacting and solving problems; fundamental skills, which I learned from MIFTAH”. The components of success Abu Sharar says a woman’s success depends first and foremost on her own determination, in this regard she said . 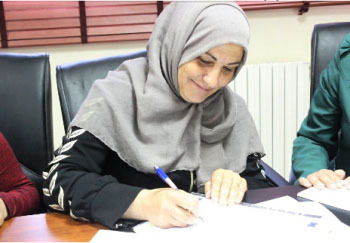 For Abu Sharar, her experience with MIFTAH taught her valuable lessons. Is MIFTAH in Abu Sharar’s future plans?